At Edge Grove we offer a holistic education by encouraging the development of the whole individual, seeking to find and foster talent whether in the classroom, the art room, in music, on the stage or in the sports field. We firmly believe that all children can and will excel at something. We encompass the traditional values of good manners and self-discipline coupled with a modern and progressive approach. We offer an education that instils self-assurance and a passion for learning that stays with children for the rest of their lives. Our first class teaching resources, strong academic approach and accessible and enjoyable teaching methods allow pupils to progress individually and reach their true potential in all spheres of school life. At Edge Grove we are proud of our academic performance and children are prepared for a wide range of senior schools across the country, carefully chosen to suit their academic and extra-curricular strengths. Edge Grove pupils characteristically approach the next stage of the educational journey with confidence and distinction. I hope our website give you a useful glimpse into life at Edge Grove; the spirit, energy and enjoyment which make it such a special place. 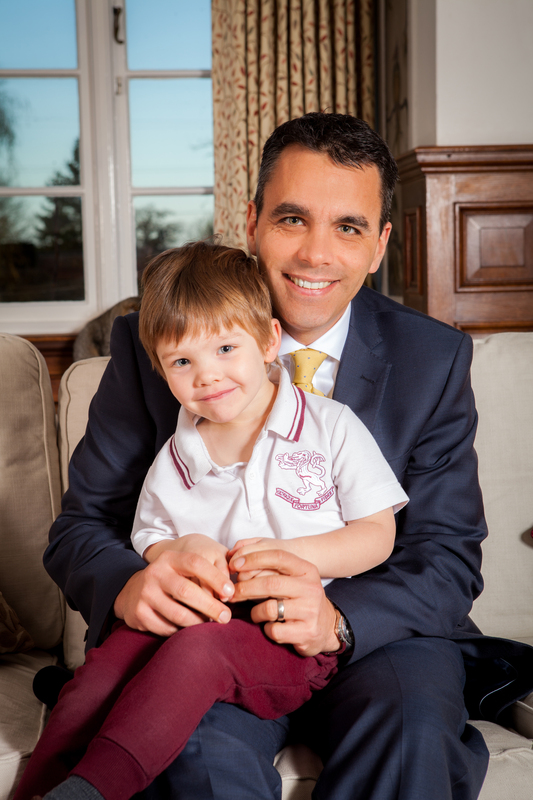 However, ultimately there is no substitute for a personal visit and I look forward to meeting you and showing you around the school. Devonshire born and bred, Ben Evans spent a large part of his childhood on Dartmoor where his mother now breeds Dartmoor ponies. He enjoyed lots of riding across the moor and worked at a trekking centre for years during the holidays, plus broke horses to harness – quite a dangerous occupation at times. He graduated from the University of Exeter with a 2:1 (Hons) degree in History and Archaeology and qualified as a secondary History teacher with games a year later. While at University he was a member of the Officer Training Corps for 3 years (passed MTQ1 and 2) and a CCF instructor. His first appointment was at Bramdean School (3-18 independent school) where he was a resident Housemaster and Head of History. He moved on to Brighton College as Head of History and continued to coach games and swimming, as well as accompanying the cricket team to South Africa on a 3 week tour. He then went Back to Bramdean as Deputy Head. His next move was further afield – this time to Sri Lanka to be the Deputy Head at The British School in Colombo (he was also KS2 co-ordinator and Year 5 teacher). After two years he took over as Head and by the time he moved back to the UK in July 2012, there were 760 pupils on roll. He reorganised the curriculum, assessment, management structure and resource levels and we had waiting lists in most year groups. He met his wife, Alexandra, whilst in Sri Lanka and they married in 2008. Their son Edward was born in 2011, followed by Thomas in 2014.